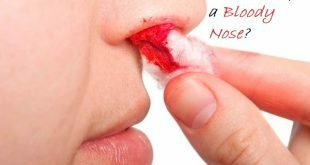 In this article, we will discuss ways to stop nosebleed. Sudden and infrequent nosebleeds are common among both children and adults, and in most cases, they donвЂ™t indicate any serious health problems, but a nosebleed can be a rather scary experience not only for children but also for grownups. Almost all of us have experienced bleeding from the nose at some point in our lives, but this problem is most common among children because they are more prone to injury during playing and running. From a tiny trickle to a big gush, these nosebleeds can happen in different ways to different people. The severity of the bleeding depends on several factors and the first thing to be taken into consideration is the location from where the bleeding has originated. A nosebleed can also be accompanied by symptoms like dizziness, weakness, confusion and fainting in some cases. Nosebleeds can be worrisome, but simple home remedies and tips are all that you need to stop nosebleed in most cases. However, if the blood is not able to stop in spite of the best remedies and continues flowing even after a while, itвЂ™s best to show yourself to a doctor in order to stop nosebleed in the shortest time. 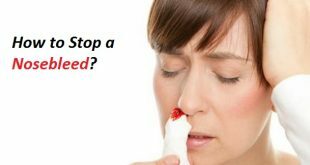 Any kind of injury and trauma to the nasal area is one of the most common causes of a nosebleed, though it can also appear due to other diseases or other health issues.В It is also known as epistaxis in other terms. 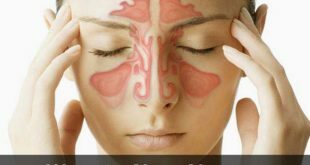 The nasal cavities are lined with many blood vessels and they bleed when injured, thus a nosebleed occurs where most of the blood flows through the nostrils and some of it can go down the throat as well. The presence of a reddish-brown powdery substance on a tissue paper after you wipe your nose. The appearance of blood from either one or both the nostrils. The sensation of a fluid at the back of the nose and the throat. Difficulties in breathing, where you may feel that you are choking a bit. Because of a blocked feeling in the nasal passages, one might feel the necessity to swallow frequently. Dry air is one of the most common causes of a nosebleed. 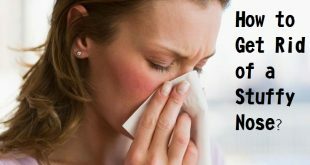 There are other reasons as well like – exposure to chemical irritants, frequent nose blowing,В allergic reactions, an injury to the nose, excessive heat, repeated sneezing, high altitudes, hard scratching or picking the nose, excessive smoking, alcohol abuse and taking large doses of aspirin, which all contribute to nose bleeding in their own ways. You may think otherwise because of its spicy nature, but this cayenne pepper works really well to stop nosebleed.В It helps to adjust the blood flow through the vessels and promotes faster coagulation. It also helps in strengthening the blood capillaries and stimulates cell formation and prevents nosebleed in the future as well. To benefit from cayenne pepper, just add a teaspoon of cayenne powder to a glass of warm, water and have this daily if you suffer from nosebleed frequently. 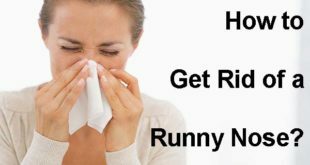 This is an excellent remedy against nosebleed and provides you a lot of relief almost instantly. Holy basil is a great remedy for stopping nosebleed really fast, it also helps to soothe the blood vessels and the stressed nerves and helps provide a lot of relief against the nose bleeding. To sue holy basil leaves, just chew a few basil leaves when you suffer from nose bleeding. You can also crush a few basil leaves and take out its juice and put a few drops of it into the nostril. This is an excellent remedy for older people as well as kids and is used widely by people who suffer from nose bleeding often. A cold compress is one of the most common and effective remedies for stopping nosebleed quickly. The cold compress helps to clot the blood and prevents the swelling besides providing a lot of relief against the stressed blood vessels and capillaries. To use a cold compress, just put some ice cubes in a soft fabric and then apply it to the nasal passages and on your forehead. 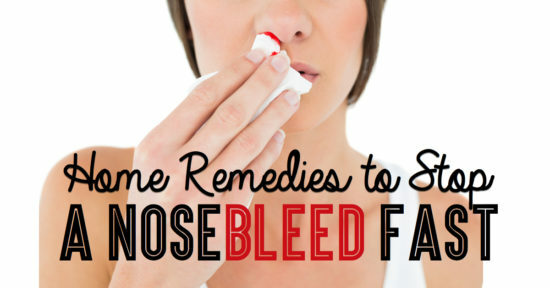 Do it several times during a day to treat the nosebleed. 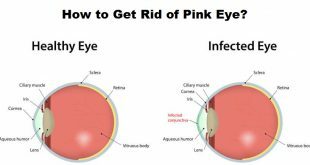 People, who suffer frequently from nose bleeding, should make this a part of their daily life to stop nosebleed completely and get rid of it altogether. 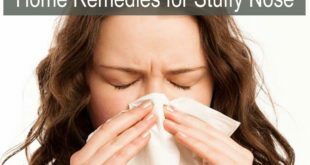 Nasya oil is an excellent remedy for stopping nosebleed easily and it doesnвЂ™t have any side effects as well. This oil is especially useful for stopping nosebleed effectively that occurs from congestion or dry sinuses. This oil is easily available at chemist shops all across and itвЂ™s used in a variety of herbal treatments and spas as well. To sue this oil, take some hot water and put this oil bottle in it for about 5 minutes till the oil becomes little warm. Now pour a few drops of this oil into the nostril and use your fingers and thumb to massage your nose from the outside. This has been widely recommended by doctors as well to get rid of a nosebleed really quickly. Goldenseal has excellent antimicrobial and antiseptic properties. It not only helps to stop nosebleed, but also helps to prevent it from occurring in the future. Goldenseal repairs the stressed capillaries and soothes the blood vessels in addition to keeping infections at bay. To benefit from goldenseal, just boil a cup of water and add two teaspoons of goldenseal powder to it. Steep for about 10 minutes and now take it fumes for at least 5 minutes. This helps a lot to make the blood clot and stop nosebleed totally. 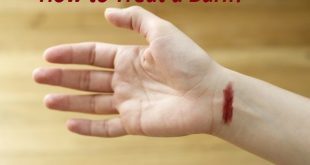 This is one of the most effective remedies for stopping nosebleed and works really well here. It helps to stop nosebleed within a few minutes and help to relieve the pressure from the nasal nerves. 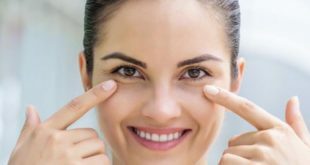 Pinching the nose, sends pressure to the bleeding point in the nasal septum, which helps stop the flow of blood immediately. The easiest way to stop nosebleed is the time-honored pinch cure. To have the effects here sit up straight with your head tilted slightly forward. Pinch the soft part of your nose below the bony bridge by using your thumb and index finger. Do this for 5 to 10 minutes and during this time, breathe through your mouth. Sit quietly for 5 minutes after releasing the pressure gently. Repeat as necessary until the bleeding stops. Take some precautions here -Do not lay flat, tilt your head back or put your head between your legs and also do not blow your nose. This is used widely to stop nosebleed effectively and works well on the nasal system.В Moreover, we all have salt available in our homes all the time, so this is an easy remedy to use as well for stopping nosebleed naturally. In order to get rid of the dryness in the nose, soothe and moisturize irritated nasal membranes with saline water. Dryness of the nasal membranes during the winter season is one of the most common causes of nosebleeds. To benefit from saline water adds a pinch of salt to ВЅ a cup of water and stir well. Put a few drops of this solution into your nose to moisten the inner lining of the nasal passages. You can also use a few drops of saline nasal spray available in the market for this purpose. Practice these remedies twice or thrice a day in order to get rid of the dryness inside the nose and stop nosebleed really fast. One of the most effective ways for stopping nosebleed easily is making use of gooseberries. 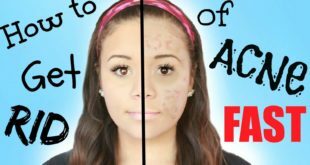 This is one of the most favored remedies as well for this purpose and is used by a lot of people. The gooseberry juice is extremely rich in vitamin C bad acts as an antioxidant. It is a very effective treatment for bloody noses in children. It helps to repair the damage caused to the tissues and cells of the body and this property of this potent juice helps to treat a nose bleed. To benefit from gooseberry juice, just put a few drops of freshly extracted gooseberry juice in the childвЂ™s nose. Drinking gooseberry juice regularly will reduce these infections in your child if your child is suffering from recurring cold and flu conditions, resulting in nose bleeding due to the heavy blowing of the nose. 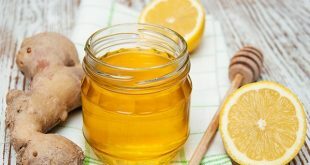 The lemon from the kitchen comes handy for this purpose and lemons are widely used all over the world to stop nosebleed with people who happen to suffer from it frequently. Lemons not only help in strengthening the capillaries but also help to make the clotting process faster. The best way to use lemon juice is to pour a few drops of lemon juice into the nostrils. Do this several times a day at least for two weeks if you suffer from nose bleeding frequently. Watch how your nose bleeding stops completely after this period. Nettle leaves work really well in promoting blood clots and strengthening the capillaries.В It also helps to stop nosebleed faster by strengthening the capillaries and curing allergies that trigger a nosebleed. To benefit from Nettle, inhale some nettle leave powder or put a few drops of nettle leaf juice into the nostril. You can also make nettle leaf tea and consume it every day when you suffer from nose bleeding in the dry months. Consume a higher amount of foods that are rich in Vitamin C, as it helps form collagen, which is an important part of body tissues. 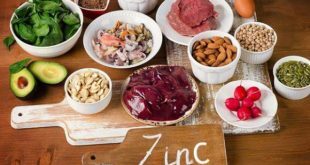 You should increase intake of foods like – peppers (red and green), guavas, parsley, thyme, mustard greens, kale garden cress, Chinese gooseberries or kiwis, Brussels sprouts, cauliflower, broccoli, papayas, tangerines, oranges, lemons, strawberries in order to supply your body with enough of vitamin C.
Zinc is an important nutrient, which helps in the maintenance of the blood vessels in the body. For this include foods like – brown rice, whole wheat bread, and popcorn, which is all a good source of zinc. Increase the intake of iron in your diet, because it contains hemoglobin and is an important component of the red blood cells. Including these foods will do a lot of good –В red meat, spinach, egg yolks, artichokes, liver, collards, raisins, prunes, clams, oysters, scallops, turkey, chicken giblets, chickpeas, beans, soybean and pulses, these are a good blend for vegetarians and nonvegetarians. When it comes to blood clotting, Vitamin K is extremely important. For this include foods which prevent clotting like -, mayonnaise, soybean or canola oil, turnip greens, parsley, lettuce, endives, spinach, kale, collard greens, beef or pork liver, avocados, green onions, Brussels sprouts, cabbage and broccoli in order to prevent a nosebleed and help in clotting of blood. DonвЂ™t smoke. Smoking irritates and dries out nasal passages. Stay out of smoky environments, too, as second-hand smoke is just as damaging. Do pick flowers, not your nose. Fingers only irritate the nose. If you need to remove debris use a soft tissue or nasal irrigation here. Do treat your allergies. Constant sneezing and blowing the nose due to hay fever is tough on those delicate nasal membranes. For this purpose see your physician about allergy remedies and stop sniffing. Do blow gently, one nostril at a time, and only when necessary. Do be nice to your nose. After a nosebleed resist the urge to blow it or touch it at any cost. 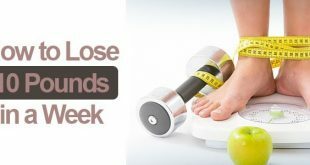 Previous How to Stop Smoking? 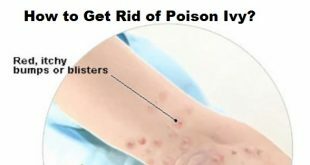 Next How to Remove a Hickey Really Quickly?